The premises were built in the neo-Renaissance style in 1911 by the architects Huwyler and Cuttat, Zurich and St. Gallen. The magnificent building impresses with its rich interior design, exclusive walnut wood carvings, and art nouveau ceiling paintings. For decades, it was the domicile of Ernst Hohl & Co., Switzerland’s first big high-end furniture house. Specially-designed and manufactured period furniture, entire interior decorations, as well as carpets, curtains, lamps, and paintings were on display over six floors. 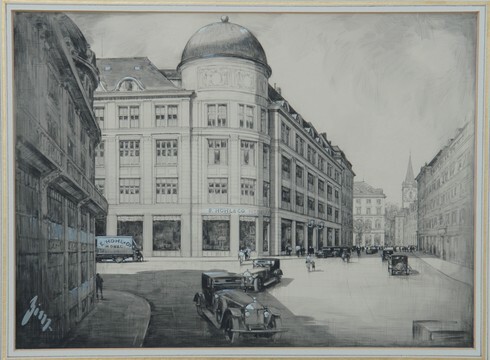 Wealthy clients from all over Switzerland, hotel managers from St. Moritz to the Bernese Oberland, but also art lovers from abroad searching for exclusive furniture of unique quality, used to visit the well-known furniture house on Bahnhofstrasse.